Former Oysterband man Ray Cooper is touring the UK solo in November with a date in Emsworth. 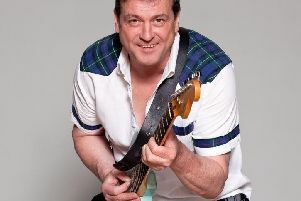 He will be playing the Sports and Social Club, 43 Havant Road, Emsworth on November 30 at 8pm (01243 376037). Spokesman Richard Fryer said: “A singer songwriter and multi-instrumentalist, he currently resides in the depths of Sweden where he has lived since 2000. “When Cooper left art school in Brighton he decided to follow where music took him. He joined Oysterband, eventually recording 19 albums and touring in 27 countries. In 2013 he went solo and never looked back. “After setting up a recording studio in a small log cabin in Sweden he made his first album Tales of Love War and Death by Hanging in 2010. It has a strongly historical theme. In 2014 he followed it up with Palace Of Tears which was about more recent, more personal history.